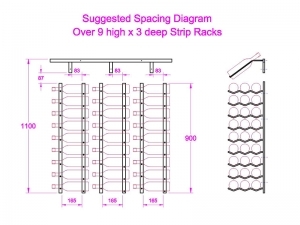 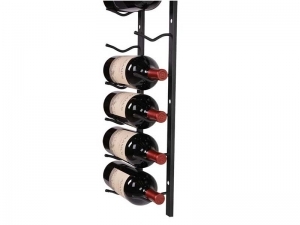 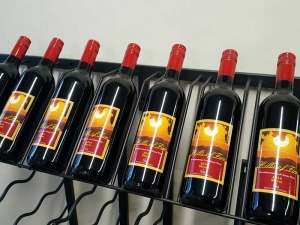 Wall mounted wine bottle rack accommodating 10 x 750ml wine bottles (10 bottles wide). 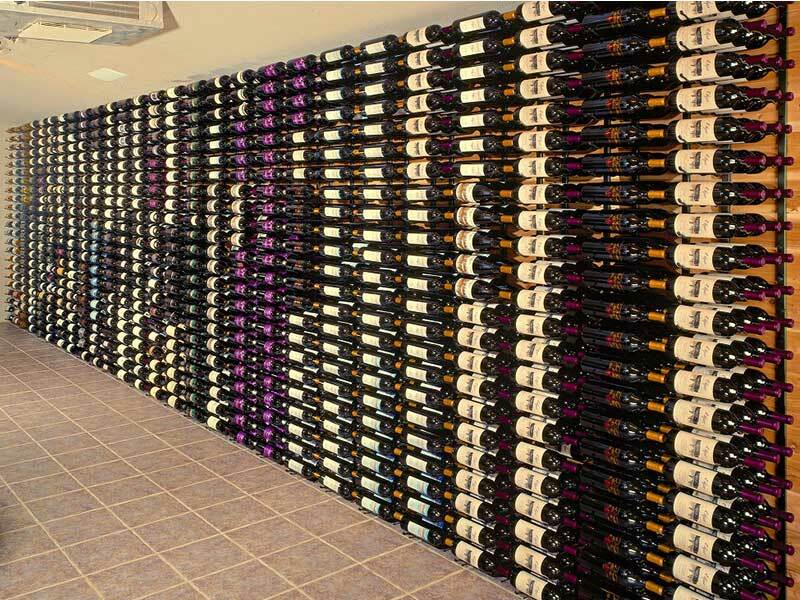 Bottles run perpendicular to the wall behind. 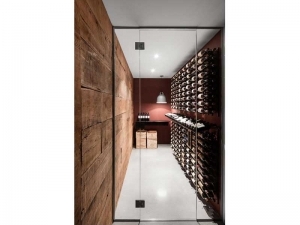 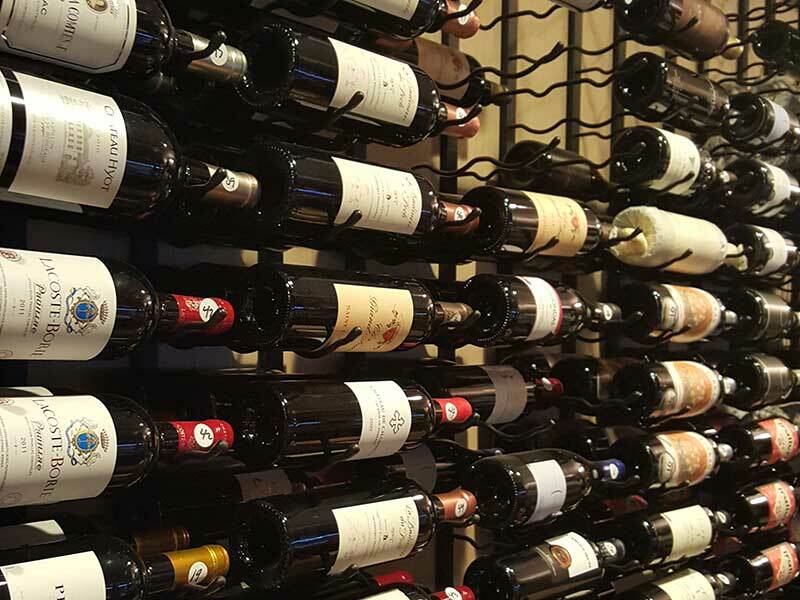 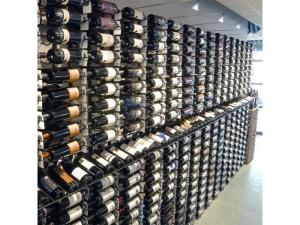 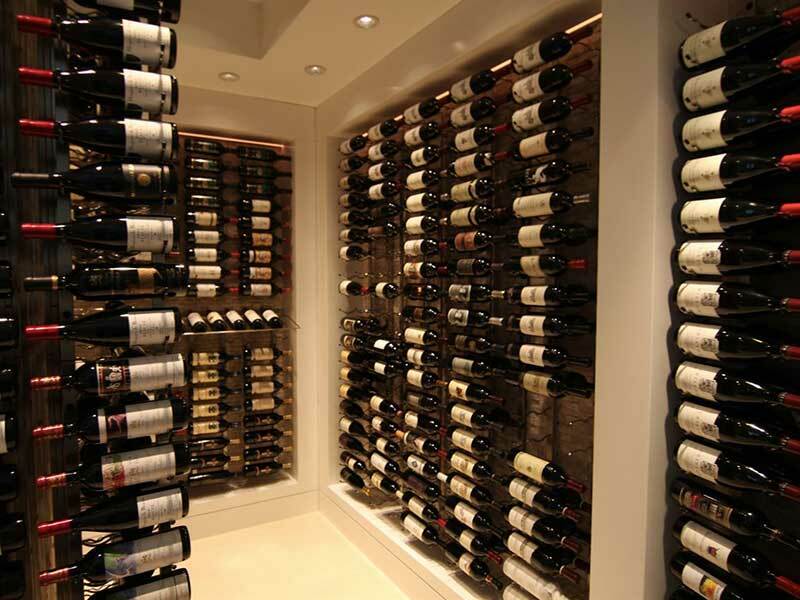 Rack is designed to be situated above strip racks at waist level to convey to customers the wine that is located in the racks below it.